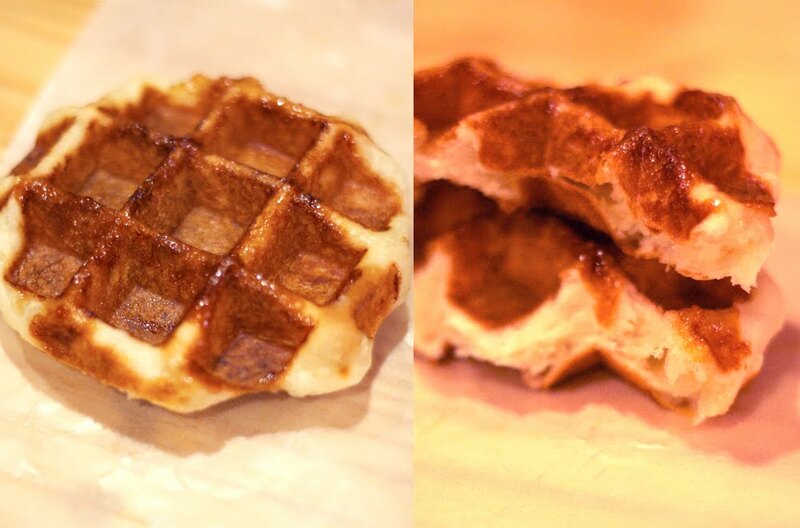 So, if you care enough about Liege waffles in Seoul, you might've come across my earlier expedition to Yeoido island where Belgian Waffle Majesty sits. A kind reader suggested I try the one in Sookmyung Women's University and so I did! 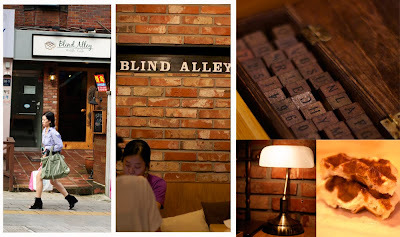 There are two on the street, one I forget the name and did not like, but the one I did like is called Blind Alley Waffle Caffe. The Liege waffles were very similar in texture and in format as the Belgian Waffle Majesty, but this one seemed a bit more like a croissant in its flaky-ness (which I enjoyed very much). Further talking to the owner, he informed me that he doesn't make the dough, but someone from Yeoido delivers the dough to him... hm? Yup! It's the same waffle maker from Belgian Waffle Majesty, Patrick. 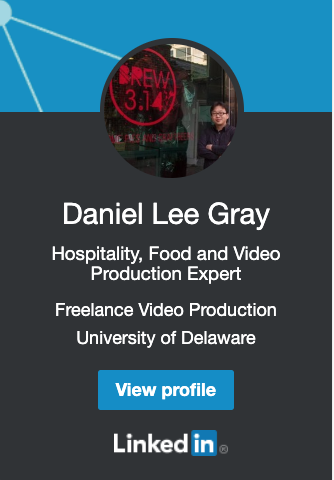 That's it, I liked it on the Island of Yeoido and I liked it on the streets of Sookymyung University, therefore where ever Patrick is delivering his dough, I'm sure I will like it there too.